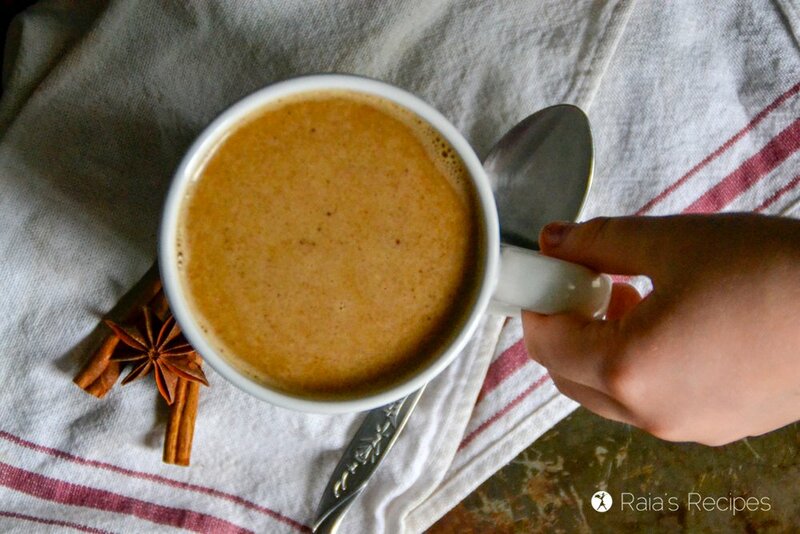 Comforting, warm, and healthy, this paleo and refined-sugar free Pumpkin Chai Latte is the perfect way to begin a chilly day. You don’t have to visit my blog during fall to realize that I love all the pumpkin things. To my husband’s rolling eyes I stock up on canned pumpkin after the holidays when it’s cheapest. This way I have it on hand for whenever it’s necessary. In fact, I can’t think of a pumpkin recipe I haven’t enjoyed. It’s safe to say I’m a pumpkin fanatic, I guess. And that’s ok, because pumpkin is actually pretty good for you! Both pumpkin flesh (what we usually eat) and the seeds are full of vitamins A, C, E, and K. These provide your body with antioxidants and help boost your immune system. But pumpkin doesn’t stop there! It’s also a good source of B-complex vitamins like folate, niacin, vitamin B-6, thiamin and pantothenic acid. 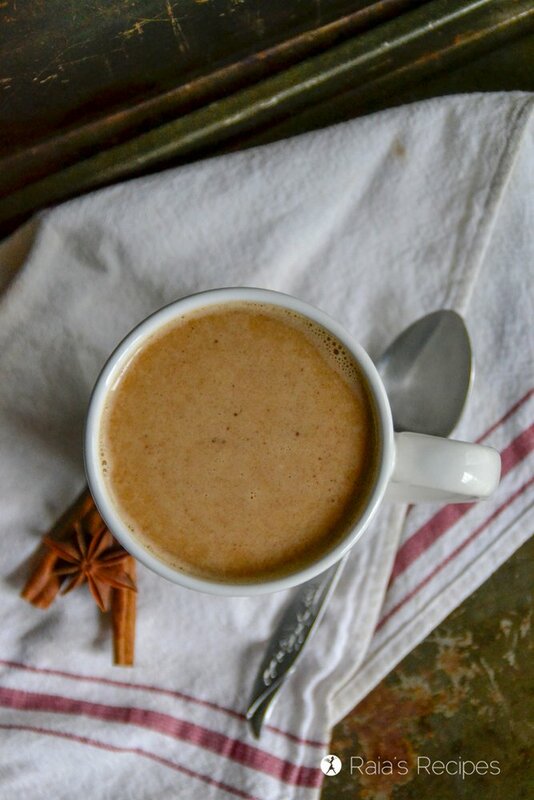 Using ground spices gives me the freedom to blend the chai to my liking, and I enjoy adding in other things like Perfect Supplements’ grass-fed gelatin (my favorite way to boost protein!) and a pinch of Himalayan salt. 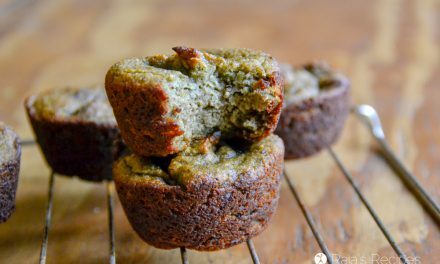 Free from grain, gluten, eggs, dairy, and refined sugar. In small saucepan, whisk together dry ingredients. Whisk in honey and pumpkin. 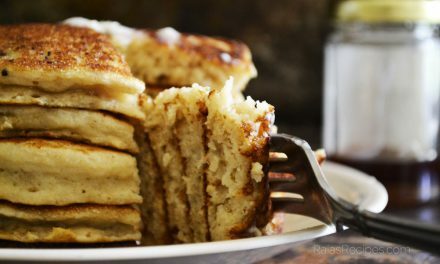 Slowly whisk in coconut milk until mixture is smooth and combined. Heat over low until desired temperature is reached. Stir in vanilla and serve. 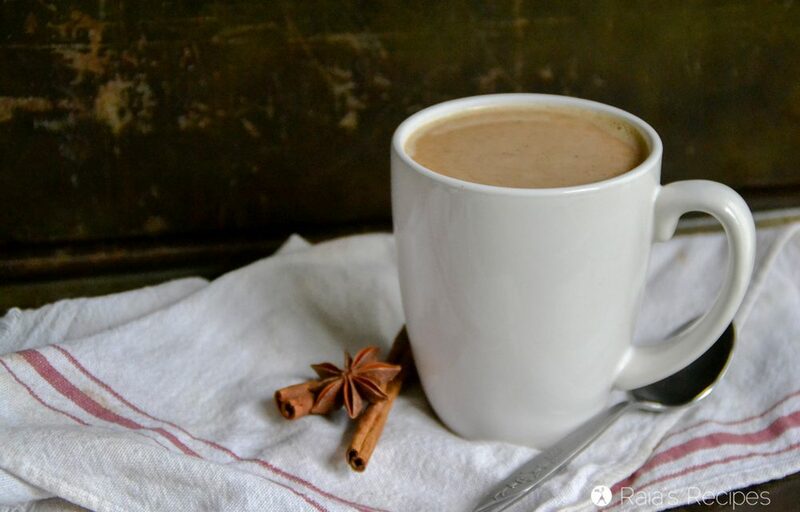 NextReal Food Instant Pot Hot Cocoa for A Crowd! You just took pumpkin spice to the next level! I love the chai element, and genius to add in a little gelatin. So yummy! Love those spices in there, especially the cardamom. This is such and nice, cozy drink for this time of the year. 2 of my favorite things in a mug! This looks so cozy and comforting and I can’t wait to make it on a chilly morning. Thanks, Jean! I hope you enjoy it! Well this is just autumn in a cup! This and all the beverages on this page look AMAZING! 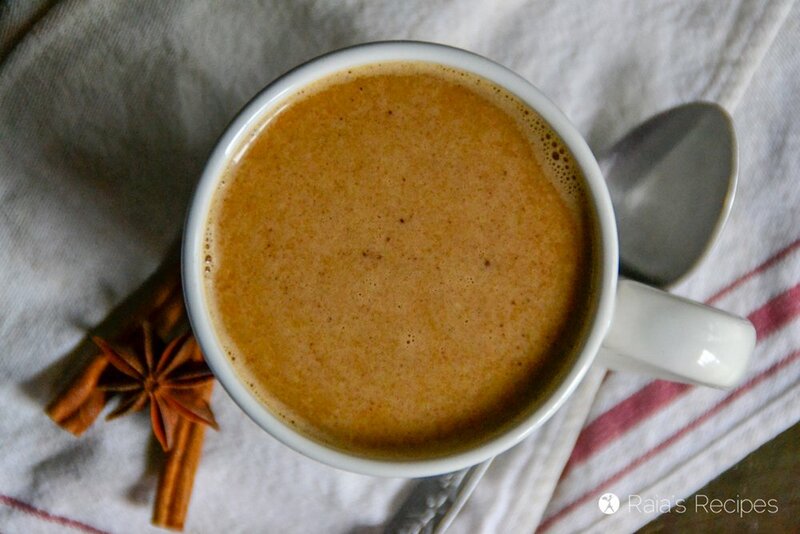 This sounds so much better than any store-bought pumpkin latte. Warm & inviting and loving the addition of chai. Thank you so much, Nicole! It looks so creamy, rich, and delicious! Totally making it! Thanks! I hope you enjoy it! 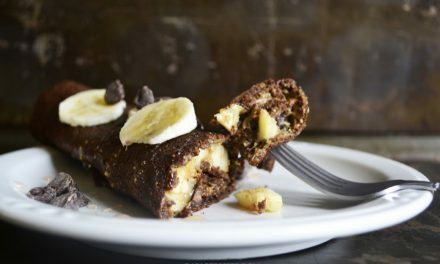 This looks like such a delicious recipe! I can picture it as a part of the morning after Thanksgiving routine. Mmm… yes, it would be perfect for that! Thanks, Catherine! 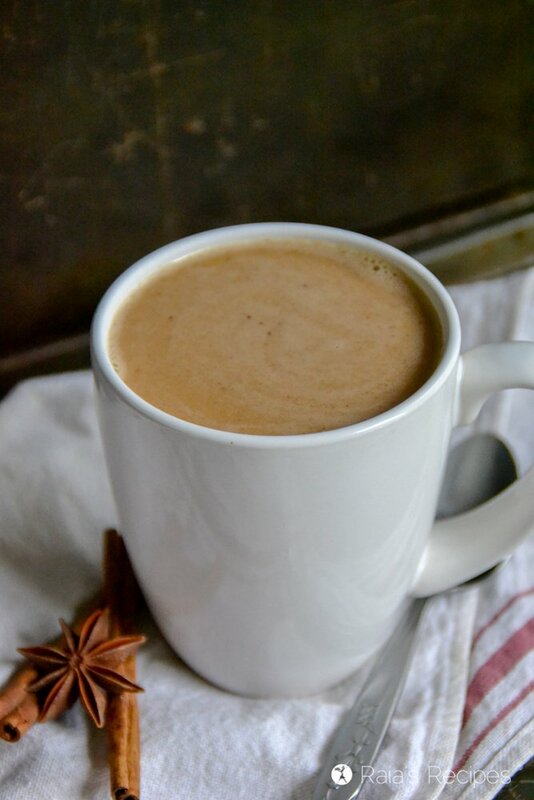 This looks so warm and cosy and love that it has all the extra nutrients from pumpkin in it! Love it! This would be perfect right now! I can never get enough of chia and cardamom. It is just so good! 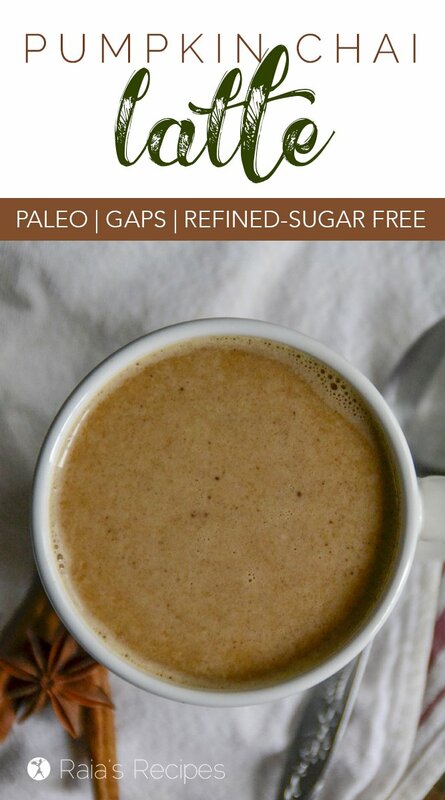 Love this healthier version! Perfect for the Fall months coming up! 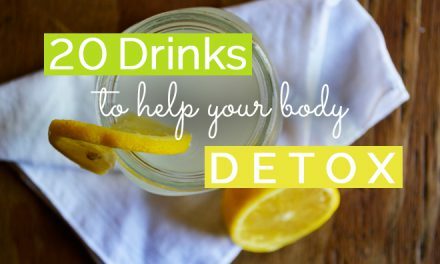 I love all your unique beverage recipes and this one looks amazing. I’m also going to check out how you make your own coconut milk. That sounds so delicious! I love chai, but you just took it to a whole new level! I can’t wait to try this! I hope you enjoy it, Courtney! Happily, I have all the things to make this today! So yummy! Pinned, too! Thanks, Lindsey! I hope you like it! Thanks, Jenna! I hope you enjoy it!